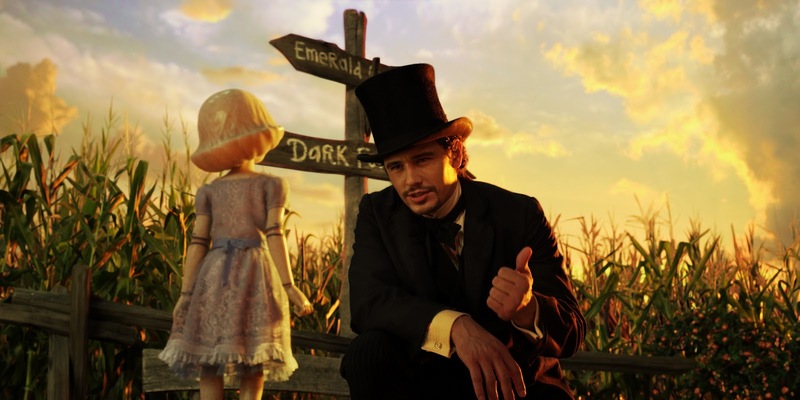 It's hard not to acknowledge Tim Burton's foray into Disney's Wonderland as the financier of Sam Raimi's Oz the Great and Powerful. After pulling in a cool billion worldwide, it makes good business sense for The House of Mouse to keep that CGI ball rolling. Oscar Diggs (James Franco), affectionately known as Oz is a small time carnival flim-flam man come magician. Travelling from town to town he courts many a small town girl, much to the chagrin of his faithful sidekick Frank (Zach Braff). Everything changes when he and his hot air balloon are caught in a twister and transported to the land of Oz. This is where the adventure begins. While difficult not to acknowledge the pixel laden Alice, it is also impossible not to acknowledge the 1939 classic, The Wizard of Oz. Although this cinematic gem is an oldie, it fares incredibly well and still delivers the magic and wonderment that it did in the 30's. Unfortunately, the same can't quite be said for Oz the Great and Powerful. While the opening scenes mimic the black and white opening of the original film, it quickly falls into a CG honey pot which becomes much to sickly for its own good. Initially, the use of 3D and CG backgrounds is eye catching but quickly fades to a glossy blur, completely unmemorable and lacking the scale that a completely CGI world should afford. Hollywood's reliance on CGI and its aversion to real world set pieces make me fearful that the world will never see such engrossing spectacles as The Wizard of Oz, Willy Wonka & the Chocolate Factory or The Labyrinth. In short, I never believed that Oz was real. Granted, I entered the cinema with rather high expectations and this fact may be partially to blame for my disappointment, however, even the cast left me feeling underwhelmed. Franco, an actor that has never failed to please, left me wanting. His characters growth seemed shallow and self-serving in spite of what should have been an overwhelming display of humility and the lovely Mila Kunis seemed out of her depth in delivering a character that was far removed from her general on screen persona. 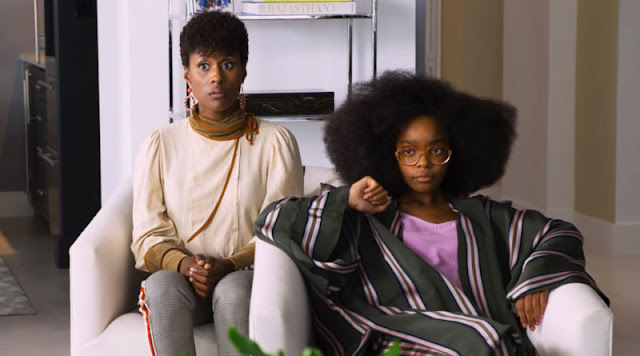 Rachel Weisz and Michelle Williams, however, delivered performances that were on pitch with Williams particularly stunning and giving an on screen display of her off screen maternal prowess. Danny Elfman is as Danny Elfman does. He again delivers a beautiful and whimsical score which would have been equally at home accompanying a Tim Burton film. If there's a time when Danny Elfman didn't bring his A game, I can't remember it. It's not all negative for the Oz in Alice's clothing with colour and whimsy in every shot. The setting is very pretty and the animation top notch. Add to this a charming performance by Franco and a big screen finish that will have your eyes popping out and you've got a family friendly film that manages to be good, but not great. Ultimately, Oz the Great and Powerful is a fun film which could have been a brilliant film. Glossy and shallow, it failed to fill the ruby slippers of its forebear which to this day is one of the most magical films to grace celluloid. 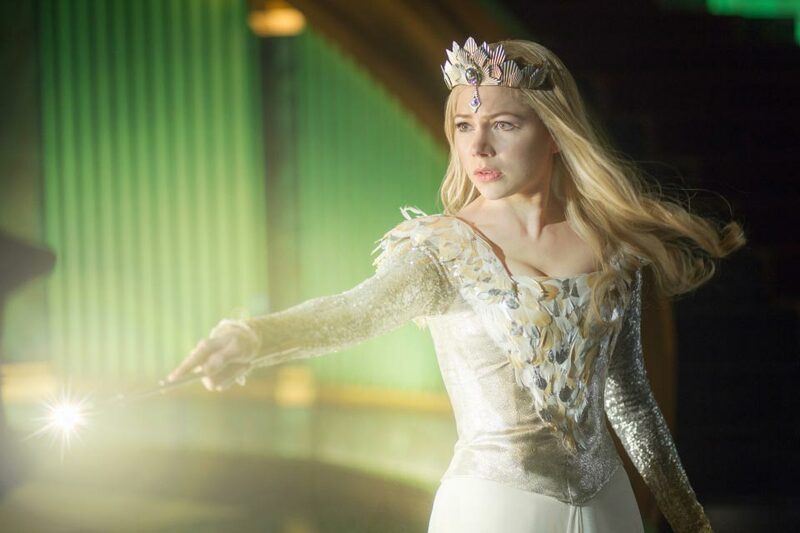 Oz the Great and Powerful is in cinemas from March 7th.